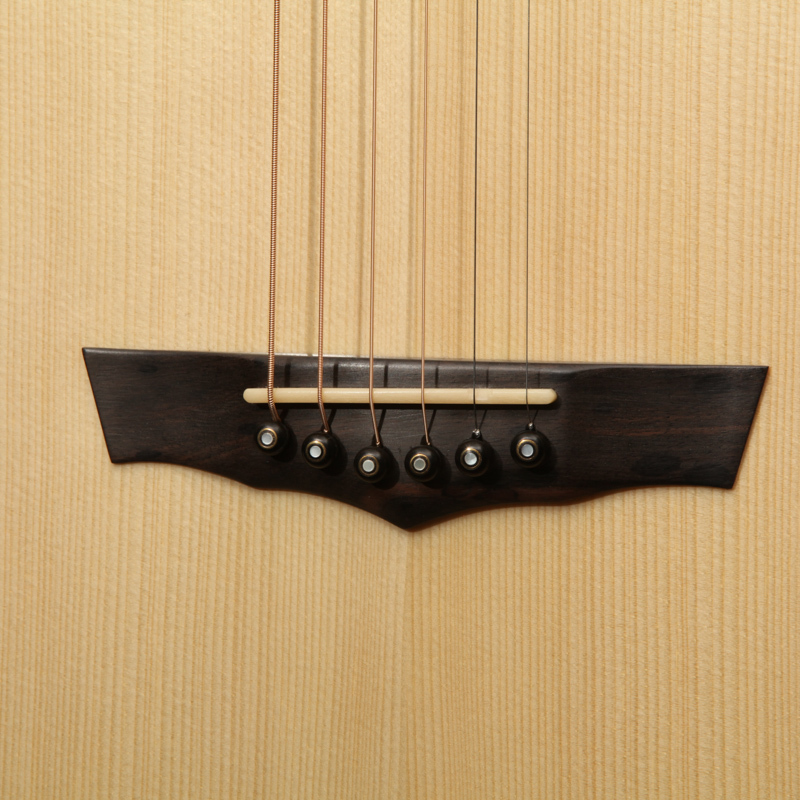 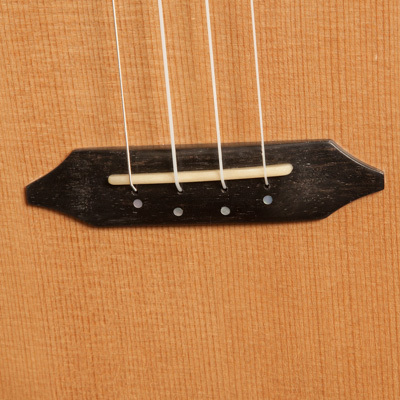 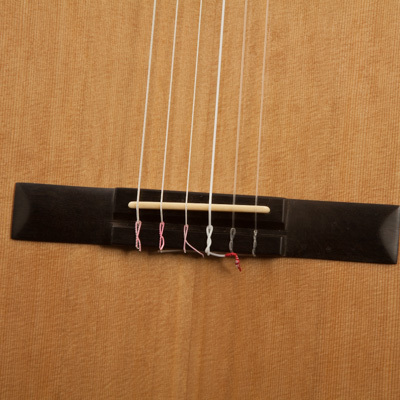 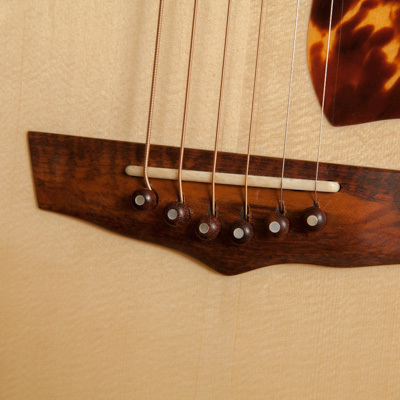 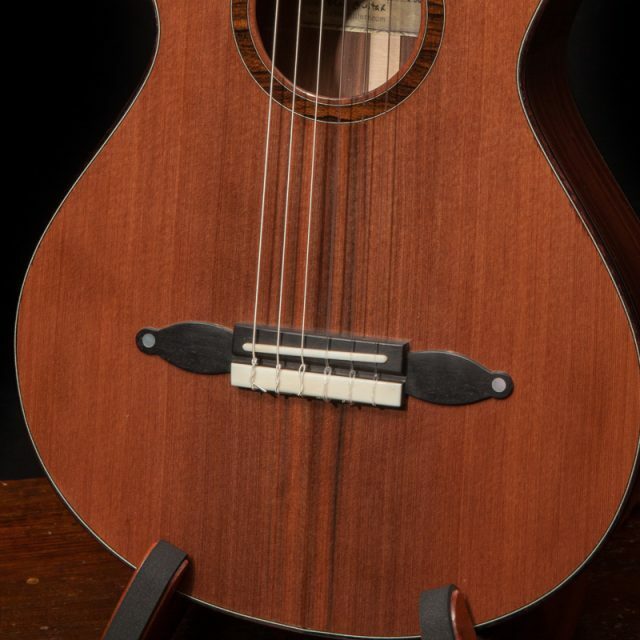 Form, Function and Style – all come into play with the a custom ukulele or guitar bridge. 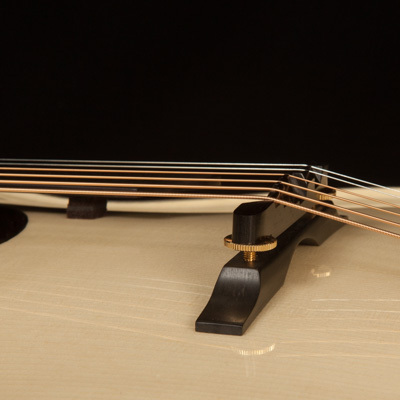 The bridge actually impacts way more than the visual aesthetics of an instrument. 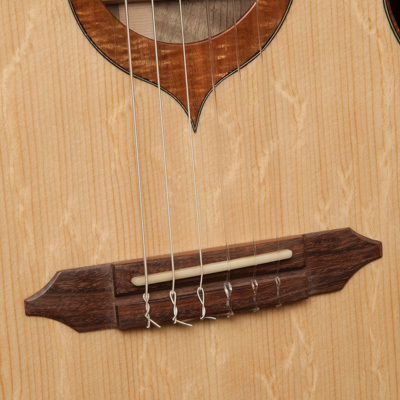 Its location, density of wood and shape all contribute to the tone and resonance. 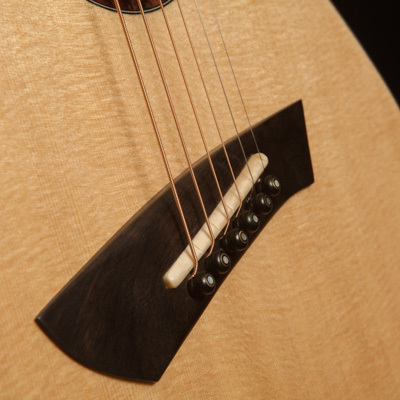 Jay factors all of this in when crafting each acoustic guitar bridge or ukulele bridge. 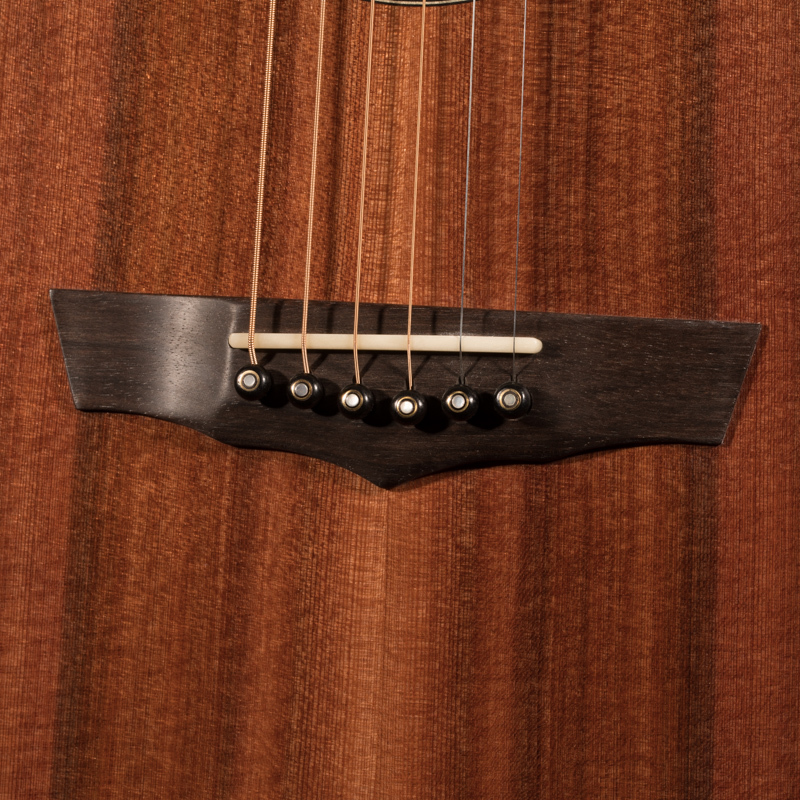 The traditional wood Jay most often reaches for is Ebony. 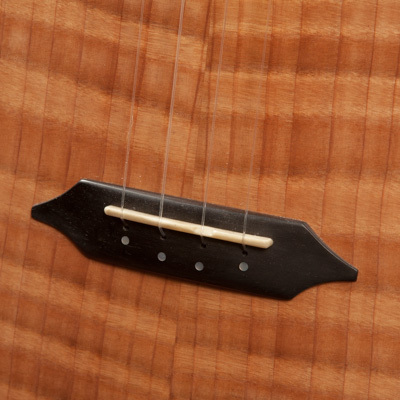 Other choices include Snakewood, Indian Rosewood and more. 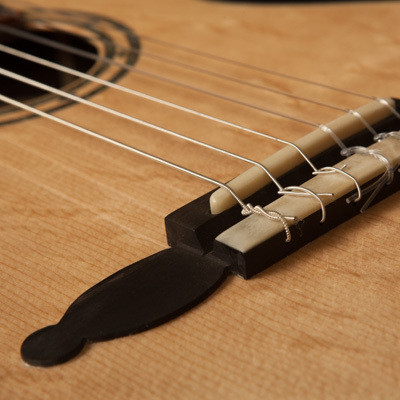 The specific style and shape of the bridge is determined by the specific model Jay is building. 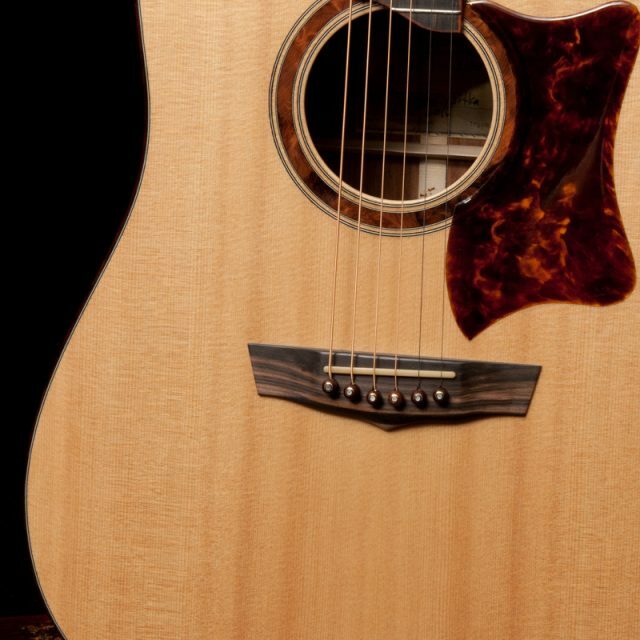 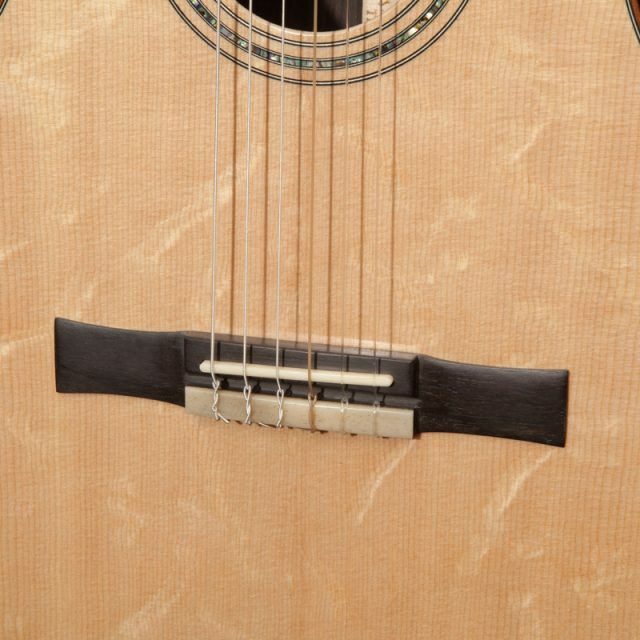 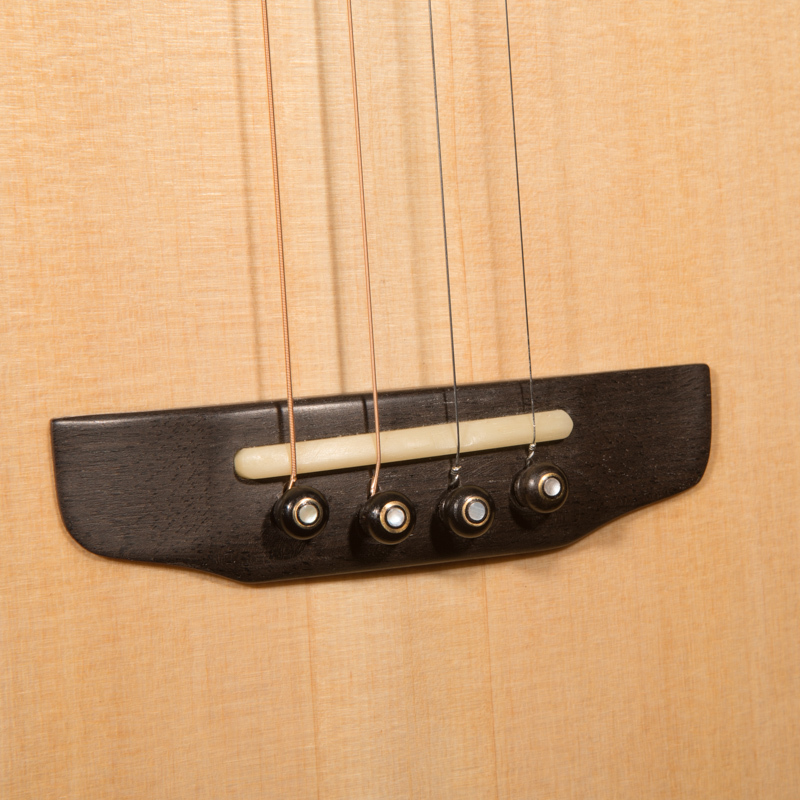 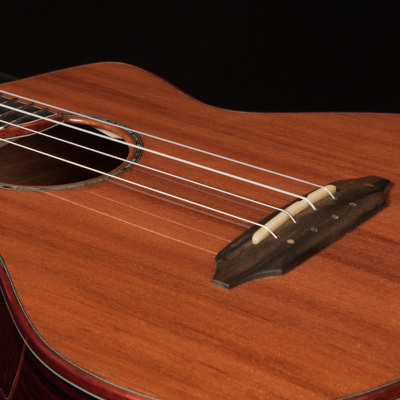 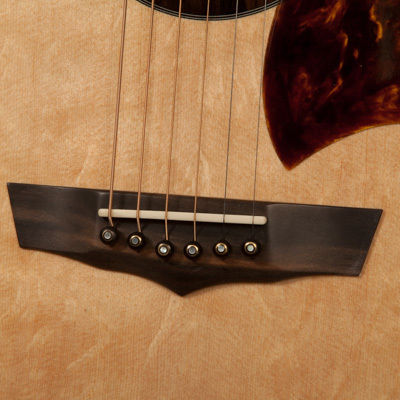 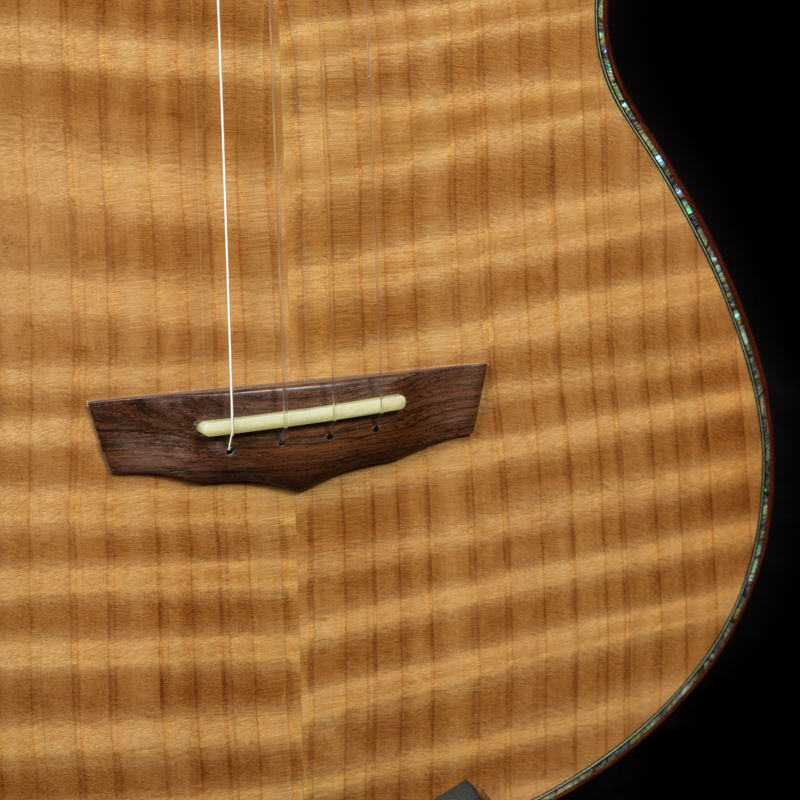 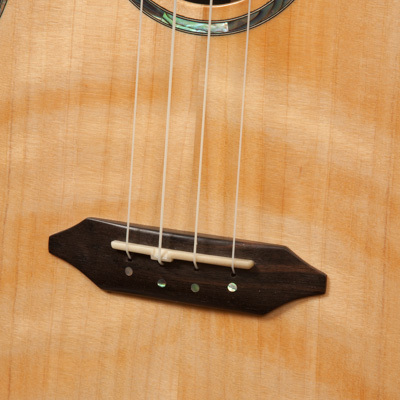 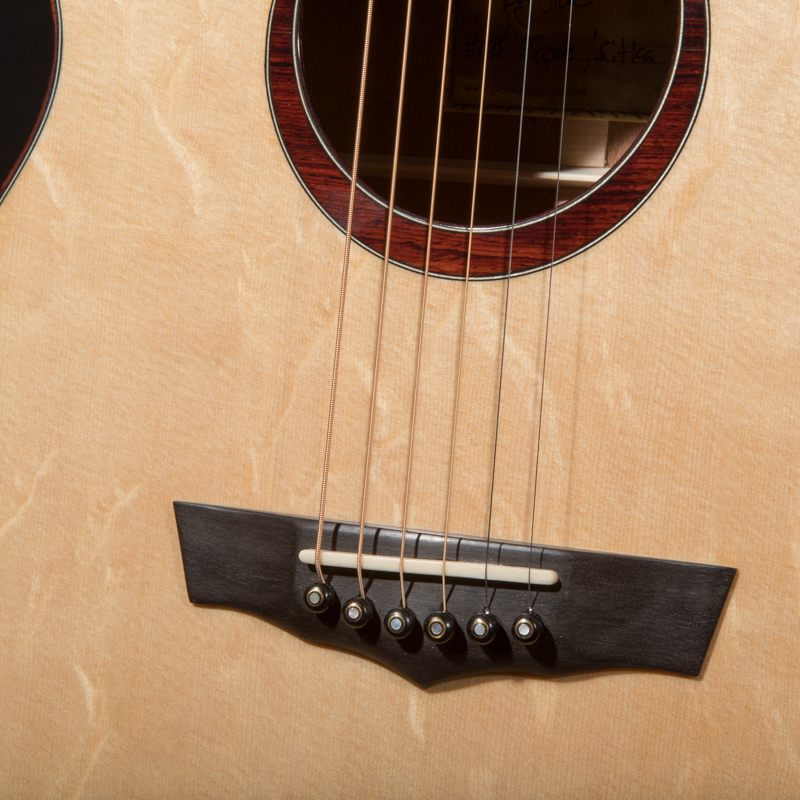 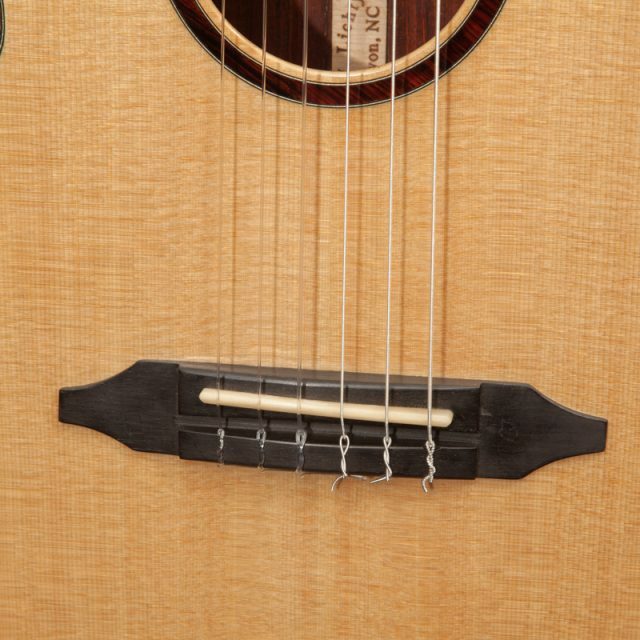 The bridge is just one of the many custom guitar and uke design options.